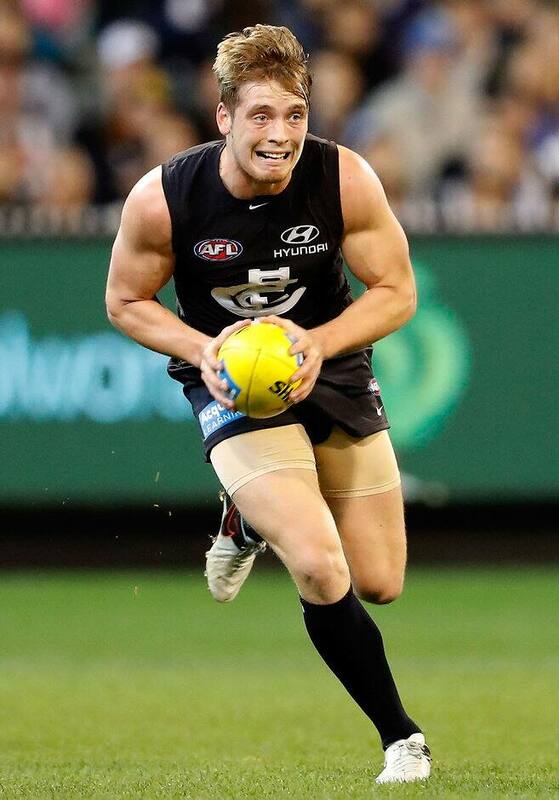 CARLTON has promoted Irishman Ciaran Byrne to its senior list three years after he was first drafted as an international rookie. Byrne has played 12 games and established himself across half-back in 2016 before rupturing the anterior cruciate ligament in his right knee in July. The 21-year-old underwent a traditional knee reconstruction but has not been ruled out for the start of the 2017 season. Fellow Irishman Ciaran Sheehan has been cut from the senior list, but the Blues have committed to drafting the 25-year-old as a rookie. Meanwhile, recently retired Blue Andrew Walker will return to the club as a assistant coach in 2017. Walker, who retired this season after 202 games, has accepted a role as a development and integration coach. "We're delighted Andrew will continue his career at Carlton as a development and integration coach – his experience and knowledge of the game will be invaluable for our young players," head of football Andrew McKay said. "Andrew's core responsibilities will involve assisting the first-year players' transition into the AFL system, which is a really important process, as well as working alongside fellow development coaches, Mathew Capuano and Josh Fraser. "He was a key part of the leadership group this season so Andrew's ability drive and set high standards at the club will be really beneficial."